Data Transformed into Information - Fast! Discover How Data Warehouse Automation Does This. 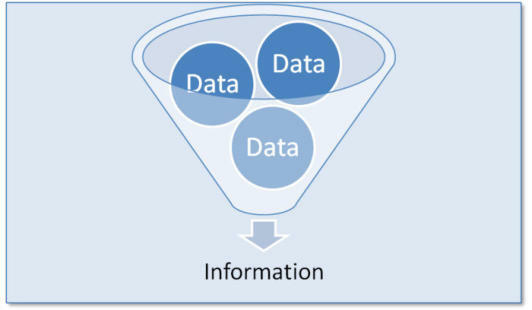 Data Transformed into Information - that is what BI is all about. Data Warehouse Automation delivers on the promise of fast delivery of information for your Business Intelligence project. Getting information is not easy. No matter what most BI sales reps will tell you, having data transformed into actionable information that can be used to make decisions is not a trivial task, and can take months to do. Why? Most transactional data systems store the information in a way that suits rapid, long term storage - to be accessed by customer and/or order number. Few systems store the data in a way that makes analysis easy. For example, take a sales order processing system. Most will simply store the name of the sales rep in a field as part of the order information. If you want to see who your top-ten sales people are, you cannot do that very easily because (most likely) there is no index by sales rep in your data. In order to analyse sales by sales rep, you need to go through all your orders, pull out the sales rep’s name, create an index of sales reps, and have that index refer each sales rep back to his orders. Since you must have your order’s data transformed into this new structure for analysis, you need to build a data warehouse. Why do you need a data warehouse? Well, you’re going to have a lot more questions to ask. With your data transformed into a well-designed data warehouse, you can ask more complex questions like:- • Who are our top sales people in each region? • Who are our top sales people for Product X? • Who are our top three customers for Product Y? • Who are our top ten customers, and who are their sales reps? The list goes on, but the answers are easier to get from a data warehouse, and a good data warehouse will answer a myriad of questions very quickly. So how do you go about building a data warehouse? Typically, this involves someone writing a LOT of code to do this, but first they must design a target architecture for the newly-transformed data. Before they do that, they must get the right requirements from the business users. So, by the time you have the right requirements, designed the right target architecture, and written all the ETL code to Extract, Transform and Load your data, several weeks would have elapsed. According to Gartner, more than half of BI projects like this will fail their first time around because something was left out/forgotten, or the developer didn’t fully understand the business requirements, or didn’t design the warehouse properly, or didn’t follow best-practices so that inevitable changes could be made more easily. Thankfully, there is a new breed of software product called Data Warehouse Automation tools that can do the design and coding of your data warehouse VERY quickly. Often, giving results inside of a day. Data Warehouse Automation has your data transformed for your Business Intelligence projects so quickly, completely and efficiently, that the time and money savings are soon obvious. Still need to be convinced about Data Warehouse Automation? To hire an ETL developer for three months at $1500/day will cost you around $90,000. Data Warehouse Automation costs a fraction of that, and delivers in days. Call us today to find out how you can get started using Data Warehouse Automation on a realistic budget for your business. To hire an ETL developer for three months at $1500/day will cost you around $90,000. Attunity Compose costs a fraction of that, and delivers in days. Call us today to find out how you can get started using Attunity Compose on a realistic budget for your business. Discover How Attunity Compose Does This.